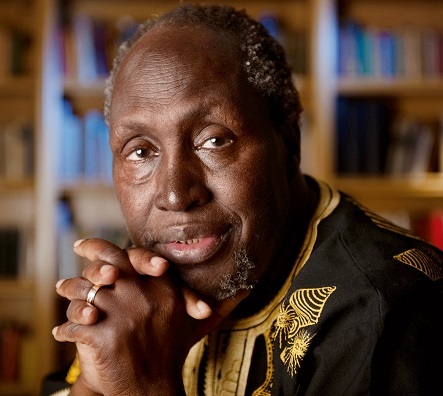 The Kenyan author, scholar and Distinguished Professor of English and Comparative Literature at the University of California-Irvine, USA, has left his mark on the literary scene across many genres, including the novel, play, short story and children literature. Ngũgĩ has a 30 year connection with Bayreuth; he was based in Bayreuth while he was working on his critically-acclaimed book, Decolonising the Mind: The Politics of Language in African Literature (1986). His creative and critical works, translated into several languages are on school and university curricula in Africa as well as other parts of the world. He has influenced generations of students and scholars as one of the most profound and critical witnesses of the legacy of colonialism and the nature of post-independence experiences in Africa and beyond. The University of Bayreuth said: "His oeuvre reflect linguistic, literary, cultural and cultural-scientific, historical and philosophical issues in their mutual context. Both in scientific as well as in socio-political terms, his writings have opened a fundamental change in perspective in terms of the relationship between Africa and the world." The honorary doctorate award ceremony will take place at the University campus.